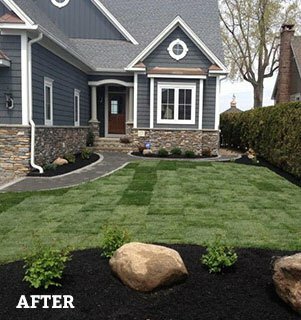 Let the experts at Trimline Landscape Management install a new great looking landscape or maintain your existing lawn. Weekly lawn maintenance, fertilization, aeration, tree and shrub planting. Seeding and sodding, flower planting, trees and shrubs, retaining walls, walkways. Residential and commercial, driveways, parking lots, walkways, ice melting. Available for contract service. Want your home or business to look like a million bucks? 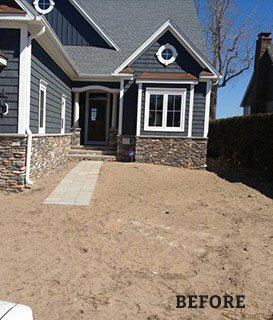 Let the experts at Trimline Landscape Management install a new great looking landscape or maintain your existing lawn. You can receive weekly lawn service or make arrangements for one time service. You can expect prompt service from our uniformed and professionally-trained staff. 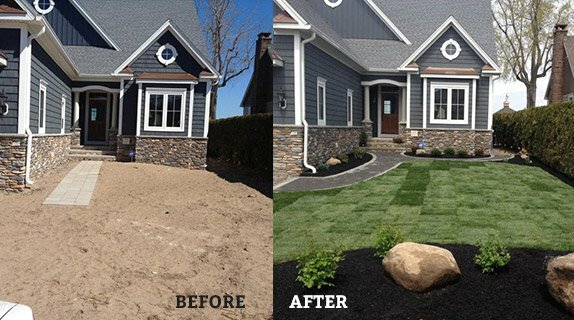 We’ll go the extra mile to make sure your landscape looks great!